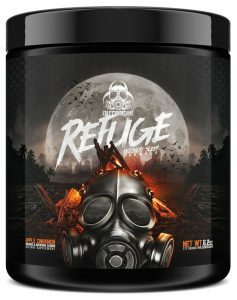 All the best Outbreak Nutrition Refuge deals in one place! Compare prices from all the top online stores to find the best price on Outbreak Nutrition Refuge. Fitness Deal News does the hard work for you of finding the best deals & coupons on everything fitness. The Ultimate Nighttime Sleep And Recovery Formula To Keep You Surviving! Outbreak Refuge is a complete sleep product formulated with post-apocalyptic survivors in mind. It is designed to enhance recovery, no matter how drained you feel. Combining strong, sleep inducing ingredients that will help you get to sleep and keep you that way until you’re fully rested and recovered, Outbreak Refuge is the key to staying sharp and alert. Outbreak Refuge contains cortisol reducing adaptogens and stress-relieving ingredients that will help you relax after yet another day of brutal survival. Outbreak Nutrition has also packed necessary vitamins and minerals into Refuge so that tomorrow your muscles are ready to fight another day. Refuge is the ultimate nighttime sleep and recovery formula to keep you surviving! This is not a sports supplement; this is a supplement for survival.This is not a sports supplement; this is a supplement for survival.